The Un-Official Blog of Romance Author Maddie James: Good Morning! Good morning! 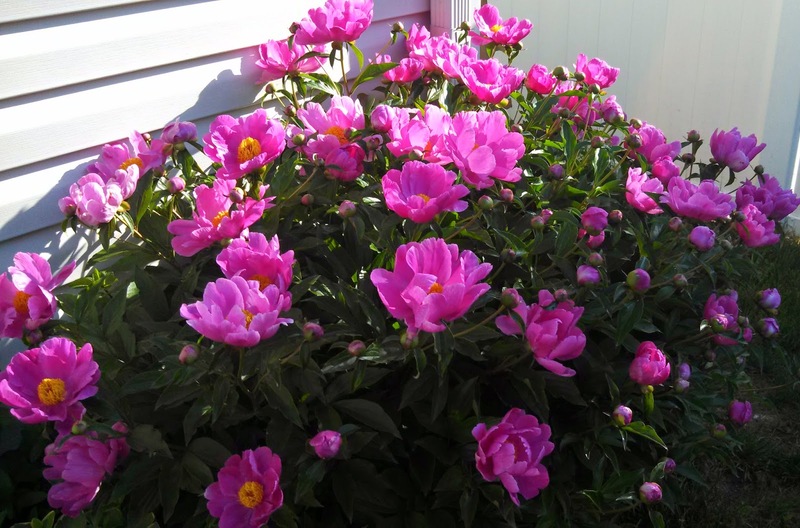 Nothing quite so pretty as peonies popping open and reaching for the sun. This is the first morning they have bloomed and the first thing I saw as I opened my back door this morning. Don't they look like they are just stretching for every inch of sunshine they can get? A good reminder for myself. Getting up and out, stretching to reach out for my day, and enjoy the simple things in life.